Remember all those hours playing the classic games on your Gameboy Advance as a youth? Bring back those fond memories with the RetroMini, which comes loaded with 900 of your favorite childhood games. 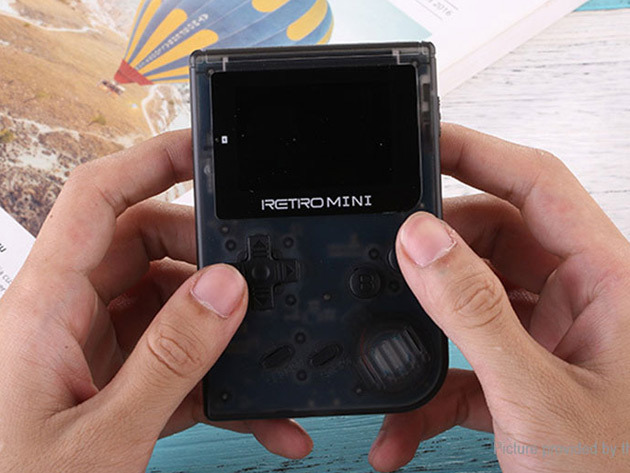 The RetroMini is perfect for when you’re traveling and looking for some amusement. It fits comfortable in your back pocket and will provide endless hours of entertainment! Being an adult doesn’t mean an end to your childhood pleasures. Take a trip down memory lane with the RetroMini and play some old school games like Pac-Man, Pokemon, Mario World, and many more. The RetroMini is basically a new and improved Gameboy Advance that will have any game you desire. On a full charge, the RetroMini can run up to 5 hours. It supports TF/microSD cards up to 32 GB for playing any additional games not included. The RetroMini is a perfect gift for any kid or gaming enthusiast. It comes with the L + R trigger buttons that were classically found on the Gamebody Advance games. Even though there are 900 classic games, the powerful RAM and CPI will ensure that all your games save and start where you left off. Get the RetroMini today for just $79.99. That’s 19% off the original price!